At APS we are committed to providing all the necessary support to our clients. We will always be there to help you either in person or through our online services. 1. Credit card payment integration is performed using EMV L1 and L2 certified terminals with "Chip" reading and the use of Pin Pad. The "Turnkey" system allows customers to make transactions after completing the registration of their account and having obtained a Username and Password, as well as a URL connection. 2. 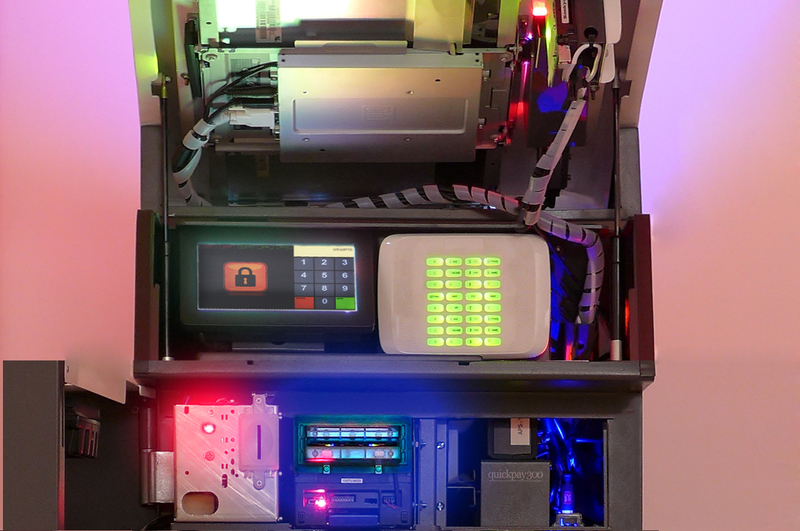 Routine is added to validate the correct operation of the Bill Validator and Coin Acceptor. In the event of a failure during the payment process, the system will be re-established, if it fails to do so, it will send the value of "Error: Coin Acceptor" or "Error: Bill Validator" to the register variable "Status". The value of the register variable "Credit" will remain with the last value before the failure occurs. 3. Communication algorithm for CashCode Electronic Currenza Bill Validator is optimized since sometimes the synchronization of the equipment was lost. 4. A routine is added to validate that the cassette of the coins is placed in the Coin Acceptor. If it is not placed, a value of "zero" is sent to the variable "tubes" and the operation in process is canceled. 5. Communication routine is optimized for the Cashcode SM Backload Bill Validator because sometimes when it finished making a charge the equipment was waiting for banknotes. 6. The name of the device is added to the message that is presented when there is a communication problem due to the incorrect selection of the serial port. This makes it easy to determine which equipment is giving problems. 7. The scope of the "Enable Change" variable within the Coin Acceptor is modified. From this version, this variable also affects the behavior of the Hoppers and Banknote Dispenser. 8. Function is added to disable any of the hoppers that you do not want to use during the change delivery process. This is achieved by selecting the value of "zero" in the currency to be used. 9. Fixed bug in which the Bill Dispenser could not be initialized by having selected a banknote with denomination "zero". Now the banknote is initialized by default with a value of $ 50 pesos. If you need more information or wish to report a failure in your equipment, please contact us.